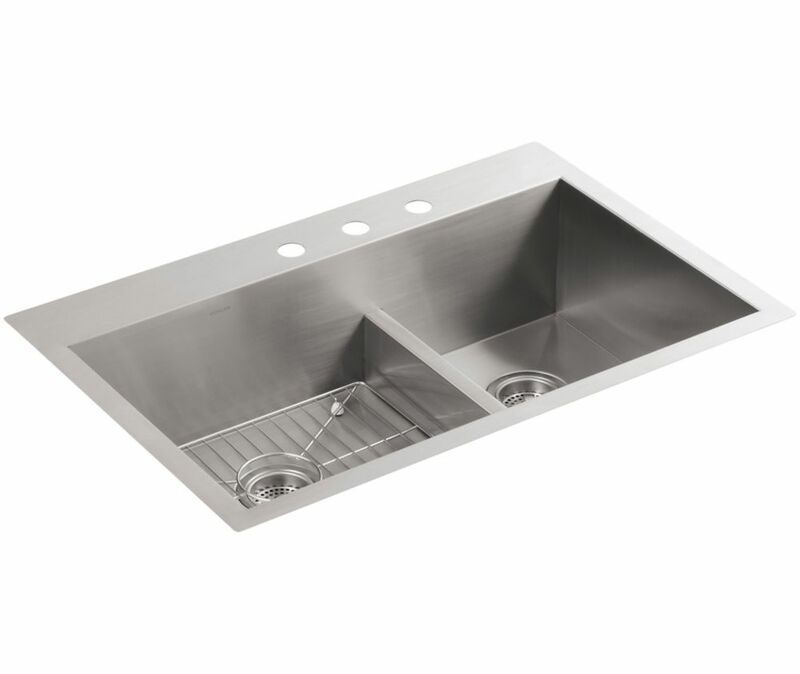 Vault Smart Divide Top Mount Stainless Steel 33X22X9.3125 3-Hole Double Bowl Kitchen Sink The distinctive, modern design of the Vault dual-mount sink lends a contemporary vibe to your kitchen. Handcrafted from stainless steel, this sink features tightly angled corners to maximize basin space and lowered divider for freedom of movement between basins. When installed as a top-mount sink, Vault offers a low-profile rim that makes it easier to wipe from the countertop directly into the bowl. An included bottom sink rack fits the large bowl and helps prevent scratches.